Last Sunday, I had left my home to drive to grandmother’s house in Nameless Cove for a big turkey dinner on Easter Sunday. Driving through the community, I saw a black spot on the ice. 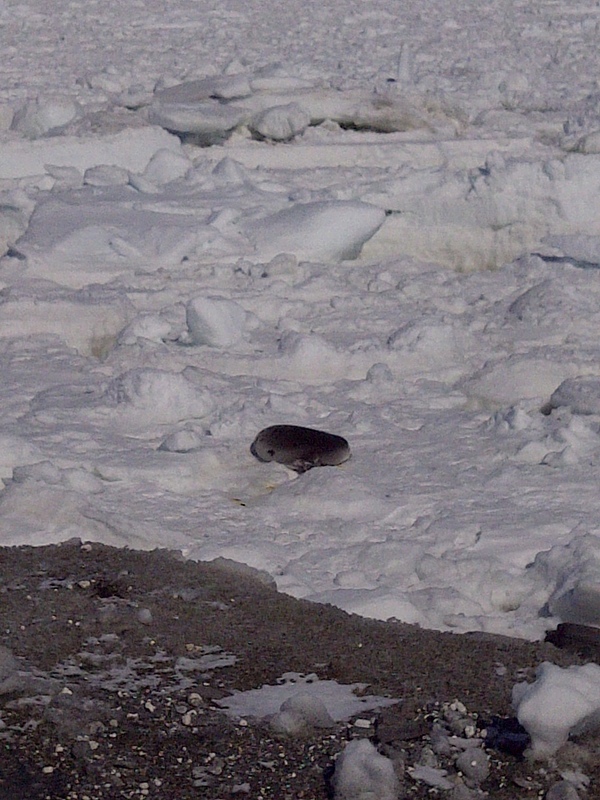 The seal is at the edge of the beach. 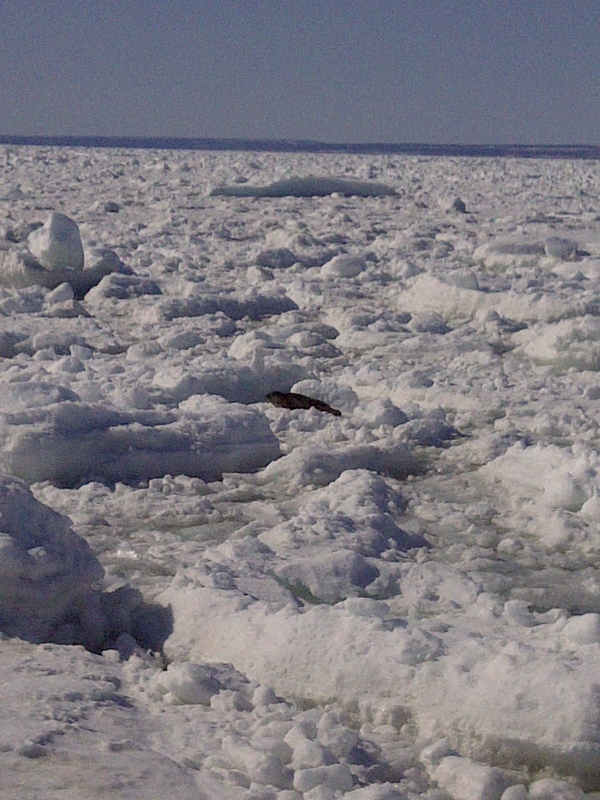 Another seal is close to shore, as pack ice had blocked the Strait of Belle Isle. The land in the background, well that’s “The Big Land” – Labrador. I’m not sure people believe me when I saw, “I can see Labrador from my window,” but it is true. Just a short 15 kilometres between us and still no plan to connect us by a fixed-link. Advancing transportation and telecommunication networks will be key to Southern Labrador and the Great Northern Peninsula‘s future long-term sustainability. Quebec is completing Route 138 (Lower North Shore Highway), this means Montreal will be just 13 hours drive from this province. It will transform the shipping of goods and services. The current administration promised a feasibility study – a link has not yet materialized. Instead it has opted to build a multi-billion dollar energy project, laying cables on the ocean floor that will interfere with our way of life, the fishery – our mainstay, versus going underground with a tunnel. It was noted in a pre-feasibility study that if both projects were paired, savings of nearly $400 million would be realized. More work is needed exploring a fixed-link, but advancing transportation networks is imminent, we can not continue to be plagued with annual increased rates at Marine Atlantic and an unreliable schedule for shipment of goods and services. These costs are ultimately passed on to the consumer. We need to be more strategic and consider where we need to go over the long-term, but not forget our roots – our beginnings. Seals played a critical role in the development of our as a permanent settlement. In the early 1800’s they were a major food source, as the island had only 9 types of mammalia. Additionally, as a British Colony, we shipped both whale and seal oil to the homeland. This oil was used in lamps and correlated with the Industrial Revolution. Today, this product is banned in the United Kingdom. It will be another couple of days before the sealers take to the ice. I wish much success in this years hunt, as the seal provides valuable meat, oils and pelts that are harvested in a humane and sustainable way. Sealing is part of our tradition, and will continue to remain that way well into the future. We have lost a generation, maybe two of hobby farmers in Rural Newfoundland & Labrador. My grandparents practiced subsistence farming, ensuring they would have enough potatoes to last throughout the winter months. They also planted the typical carrots, turnip and cabbage. Why did the majority of their children not follow these practises? I am sure there are a number of reasons, as even Rural Newfoundland & Labrador had more purchasing power and options to purchase produce at the local grocery store. Today, there is renewed interest among young people, like myself and even from people of my parent’s generation in growing their own produce – A Revolution! 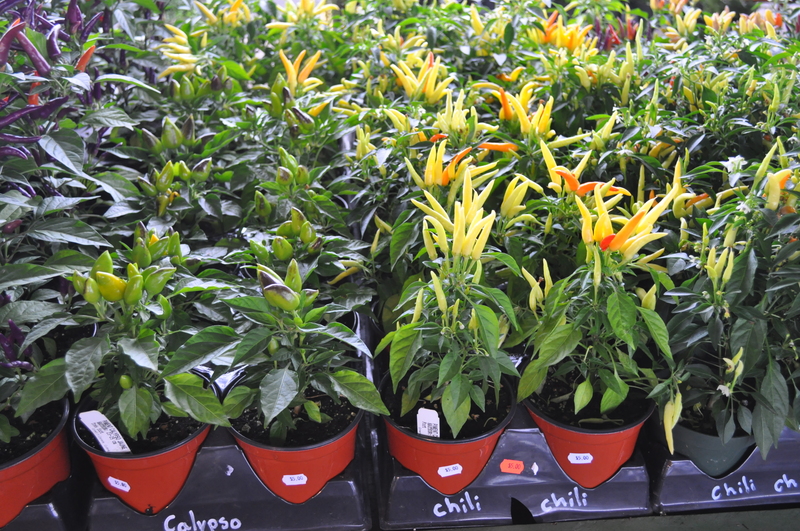 It appears there is a sense of enjoyment to the experience of growing your own green things. There is gratification of being rewarded for your own efforts. It is now “fashionable” to be seen sporting your rubber boots and hanging out in the mud, yanking out the weeds. Even my friends, family and co-workers bring up gardening in casual conversation. These are all good measures that can lead to more local and regional business development. 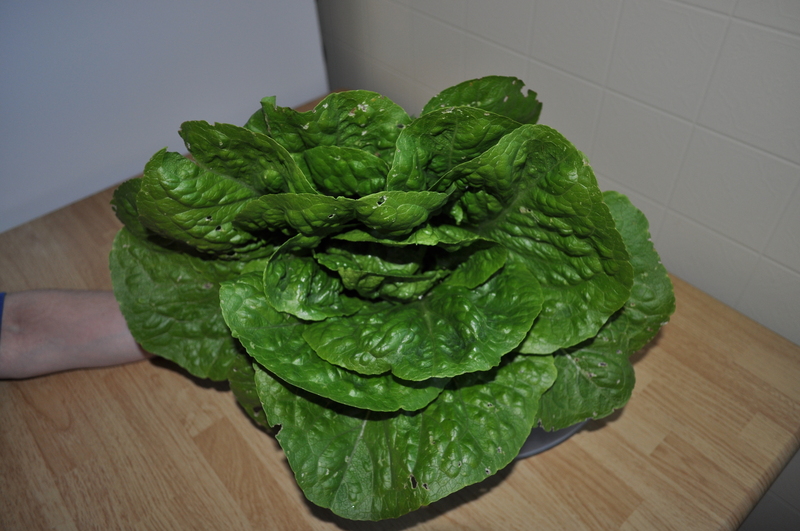 Today, I’ve pulled one of my romaine lettuce from my garden bed. It is one of several that were planted as a test. It is very encouraging, as I see the red onion, green onion, onion and carrots srouting up nicely. 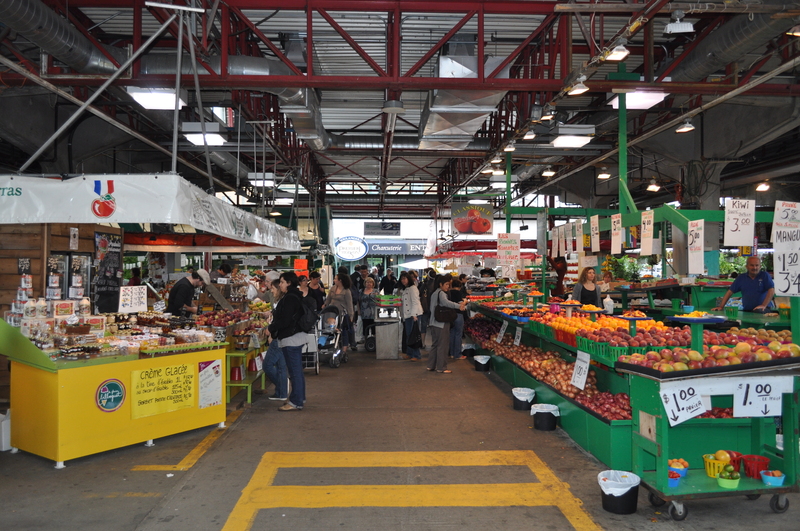 On a recent vacation to Montreal, Quebec I had the pleasure of visiting the Jean-Talon Market, which is open year-round and takes up space of what would be two streets. The former bus station terminal has been converted to host parking, specialty boutiques and office space. There were so many varieties of fruits and vegetables. Also, one could buy ice-cream. fresh meats, breads, ice ciders, wines and of course maple syrup. I managed to pick some up some of the maple sweet stuff and a nice bottle of ice cider. Certainly a treat! A local co-op may be interested or one could be formed to promote local gardening, community gardens and work to establish a seasonal farmer’s market. This venue may also be utilized during special occasions, such as the holiday season for local preserves, baked goods and craft items. As the issue of food security continues to be a concern for Newfoundland & Labrador. Growing local produce is a good practise, it ensures quality, pesticide free and can be a lower cost solution as these items do not require shipping from other parts of Canada and the world. Let’s Make a Marketable Farmer’s Market in Rural Newfoundland & Labrador! The Gros Morne Theatre Festival will commence on Thursday, May 26, 2011 and continue daily throughout the summer with its final show on Saturday, September 17, 2011. Positive word of mouth from friends and colleagues that had seen a show was more than encouraging. I decided to make extra effort in 2010 to ensure I made this a priority. I attended the dinner theatre, “Sinking of the S. S. Ethie” with a friend from Montreal, QC at a rate of $45.00. It was certainly worth it. Two plus hours of entertainment by talented and professional actors/actresses working for Theatre Newfoundland & Labrador, as well as, pan-fried cod and all the fixing served by those on stage during their intermission. We enjoyed the show enough to buy tickets for the double feature, “A Double Axe Murder”. This play is based on a murder mystery of the area in the 1800s. Very intriguing. Being a local, I heard pieces of the story and previously visited the site of shipwreck as a young boy with my father. It is funny the things you sometimes remember, but beyond the rusty remains of the Ethie there was an abundance of very smooth and colourful round rocks. I picked one of my favourites and brought it back to the cabin at Sally’s Cove. If you would like some wonderful entertainment, check out the shows at Gros Morne Theatre Festival, Cow Head. There will also be workshops and special events throughout the season. I am looking forward to getting to see Tempting Providence and others throughout the summer season. For more information or reservations visit www.theatrenewfoundland.com or call toll-free 1-877-243-2899.